Pat's Scraps: Bake Sale Blog Hop! Hi Everyone and Welcome to the Bake Sale Blog Hop! So glad you could join us!! If you’ve just come from Crazy About Cricut, you’re at the right place. If you want to start from the beginning, hop back to Carson’s Creations. Georgiana is one of our co-hosts for the hop today, along with Cheryl from Cards by CG. When Georgiana asked me to be in the hop, I was so excited! This is my first hop, and it challenged me to think beyond making cards and layouts. I didn't bake anything, but rather was thinking more behind the scenes on where the baking takes place, and the tools needed to turn out those delicious baked goods. So here’s my project for Day 1 – wall art for the home! This project was so much fun to make. I discovered that I really like making these larger cuts on my Expression. And the framed art looks great in my kitchen! So what do you think? I have some candy to give away. Just leave a comment on this post. You don’t have to be a follower, but I’d appreciate it if you were. Make sure you leave a way for me to get in touch with you if you are the winner. I will draw a winner using random.org on Monday night, May 16. Leaving comments on the next two day's posts will give you extra chances to win. Here’s a set of “Party Invite” stamps by Stampendous, some “baking” stamps, Celebrate rub-ons, and of course, we can't forget the bling! As you can see, I’m the last stop on the hop—sure hope you had fun and got an idea or two! If you didn’t start at the beginning, be sure to hop back to Carson's Creations. And make sure you come back tomorrow for more projects and more chances to win some candy! Thank you all for joining us today! Congrats on your first hop!! I love your wall hanging. So cute. Nice job. Thanks for a chance to win some candy. Love your project!! I really need to add this cart to my every growing wish list! TFS and happy friday! Fantastic wall hanging! I can't wait to see what you have in store for us next!! This is amazing. Just wonderful. Love it. Congrats on your first hop!! You did wonderful! I love your kitchen wall art, just perfect. The texture is terrific. I definitely have to "scraplift" your wonderful kitchen wall art. I've been looking for something ever since we painted in January. This will be pefrect to brighten up the "darker" walls we did this time! Thanks for the wonderfully creative idea! Totally cute! I may have to get this cartridge! Congrats on your first hop!!! !Great job----I love the colors and the whole idea. I really like this card. I have the cart but rarely use it...maybe I'll have to rethink how...lol Thanks for the chance to win. love your hanging tools.. 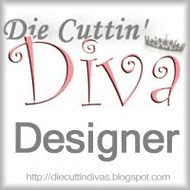 I really want the sizzix embossing plate - that is awesome!! LOVE all the creativity! new follower.. So Super Cute!!! Love the colors! I have this cartridge and haven't used it yet! After seeing your card I have to pull it out! Thanks for sharing and thanks for the chance to win! Oh, this is a great idea! I think I might try it in my baby's room! Thanks for sharing. I'm a new follower. Beautiful wall art, congrats on your first blog hop! Sooo cute - I love your creation! What an awesome idea! I love wall art! Great job on your first hop! I love your project! This is a great cartridge that I need to use more often. Very cute wall hanging. Love the colors. TFS!! !